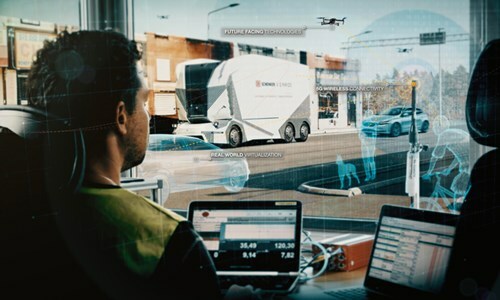 Swedish road testing organisation AstaZero is set to bear witness to tests involving cutting-edge 5G technology and other technological innovations for facilitating the development process of self-driving vehicles. AstaZero, the test facility for technologies involving autonomous vehicles, is being backed by a partnership of the Swedish government and private sector. It is aiming to grab considerable global recognition for creating an international driverless vehicle testing standard. The collaboration project, backed by the Research Institutes of Sweden (RISE) and the Chalmers University of Technology, will diversify and expand the AstaZero 5G initiative, the auto testing specialist under the control of RISE and Chalmers. The AstaZero 5G facility, situated at Borås in western Sweden, will be used to test next-generation innovations including 5G and several other developments. The facility is a testing ground for assisting autonomous self-driving cars and other heavy vehicles. The public-private partnership is taking place at a time of strategic importance, due to the rising international buzz around technology for driverless vehicles. The domain of self-driving cars has been a topic of heated discussion in recent times, due to both human injuries and vehicle-related damage during pilot phases. The positive side of this discussion involves the latest safety enhancement technologies that have emerged. The Swedish automobile sector is marching towards setting new global standards for automated testing of vehicles. AstaZero has set its sights on reaching out to both Nordic as well as international vehicle manufacturers. The global automated vehicle industry is set to reach an estimated valuation of $US7tn by the year 2050. There are many viewpoints currently, regarding when the concept of self-driving cars will become a widespread reality. Regardless of when that happens, there are no doubts regarding the positive impact of 5G and other digital innovative resources, in helping driverless vehicles to steer past key challenges. Monica Ringvik, the CTO of AstaZero revealed that the Borås facility is integral for the company, as it is used for the collection and utilisation of raw data during vehicle tests. The type of data collected during each test depends on its purpose but may encompass various other parameters like weather conditions, road conditions, decision logs, positional and sensor data. Ringvik informed that huge volumes of data are collected and artificial intelligence is used to perform necessary research. According to her, such data can be used for simulations, machine learning, and artificial intelligence solutions. The extent of research conducted in the domain of driver assistance and self-driving cars has grown considerably in the last decade. Today, there is a significant difference regarding assisted driving and self-driving, and that stretches beyond the technical ones. Since the two technologies are different, confusion among them has often resulted in accidents and injuries. While automobile manufacturers Volvo, Mercedes-Benz, and Tesla are already pushing the innovative edge for assisted driving vehicles, self-driving cars are much more sophisticated, technology-wise. AstaZero is leading the race in terms of self-driving test environments, raising possibilities of such vehicles operating in unsimulated scenarios in the future.